The next time someone turns on the hair dryer, microwave and toaster oven all at once and sends your house's circuits into a tizzy, be prepared. 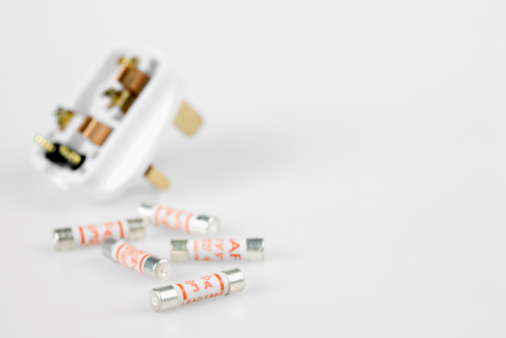 If you live in an older home with electrical circuits protected by fuses, keep replacements on hand. 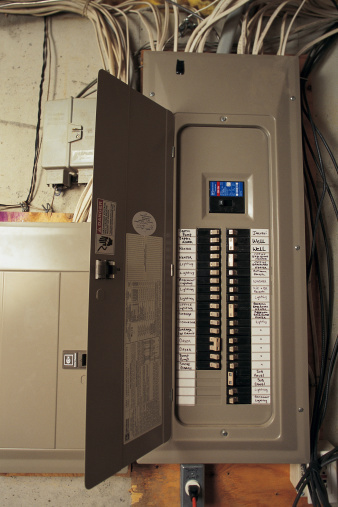 Open the door to your service panel and examine it with a flashlight to identify the blown fuse. Typically lights are on 15-A circuits. Receptacles may be either 15 A (for 14-gauge wiring) or 20 A (for 12-gauge wiring). A large fixed appliance, such as an electric range or a water heater, should be on its own circuit, protected by fuses as specified by the appliance manufacturer (see the appliance's rating plate for amp requirements). In addition, one or more main fuses protect service lines coming from your power utility. For light and receptacle circuits, look for a break or blackened area visible through the glass of a screw-in plug fuse. If all the fuses look good, identify the fuse according to the circuit label (map) printed on the door or next to each fuse. If the circuits are not mapped, locate the fuse by trial and error: Remove the fuses one at a time and either insert a new fuse to test the circuit, or touch the pointed probe of a continuity tester to the fuse's tip and the clip to its threaded shaft. If the tester does not glow, the fuse is bad. For fuse blocks, which protect an electric stove and the main circuit, pull straight out on the handle, then remove the individual cartridge fuses from the block using a cartridge-fuse puller. Test the fuses with a continuity tester by probing the two ends. Screw in a new plug fuse, or install a new cartridge fuse in the fuse block and press the block back in. The replacement should always have the same rating as the original. If all of the circuits have stopped working, remove and test the cartridge fuses in the main fuse block, usually located at the top left (occasionally it's reversed with the stove circuit on the top right). Replace any faulty ones. More often than not the problem with cartridge fuses is related to loose clips or rivets in the fuse block or fuse box, not the fuse itself. Replace a faulty cartridge or have an electrician make other necessary repairs. How Does 2-Pole Circuit Breaker Work?